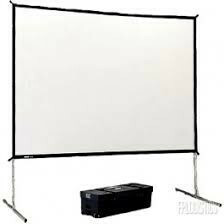 an industry standard for portable audio visual. 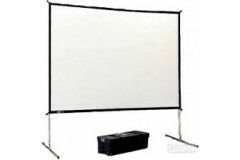 mobile fast folding front and rear projections screen. features a heavier 3.5" wide by 1.25" thick frame system. durable design, making it ideal for staging environments. it features easy release latches on the frame for efficient set up and tear down.